The set screw fitting also add a nice touch. EMT in a haz. loc.? Only thing EMT has value for in a haz. loc. is as a back scratcher. I posted a similar pic, from a local propane distributor. Seal to EMT to PVC at ground level. This appears to be a far more common practice than I had thought. Having learned about this stuff in the oil / chemical refining industry .... one wonders! The code speaks of 'qualified professional' .... and we see this thing that flies in the face of all logic. I do wish someone would write a "How to" book about classified locations .... covering not just wiring practices, but defining the "zone." I have a question for everyone. How many times have you come across sealing fittings installed without having the seal(s)poured? More than I care to think about. Also common is an improper seal ... where the mortar has leaked past the packing, and solidified somewhere down the pipe. Was the plumber there before or after the pipework was installed? This part more than i care to see it almost widespread when they do very poor job seal it off. A very few area I ran into some are pretty smart to add a EXP union fitting but the cost will knock your feet off on this one. I am pretty sure the NEC code book did mention about zone but don't have many picture how it should be defined at all. I do understand the wording but really it should have few more photo to clearify the example what zone defiations descrbing it. Last edited by frenchelectrican; 11/23/08 10:17 PM. Reason: add quick P.S. The classification is Class1 Div2. It is directly under a panelboard. 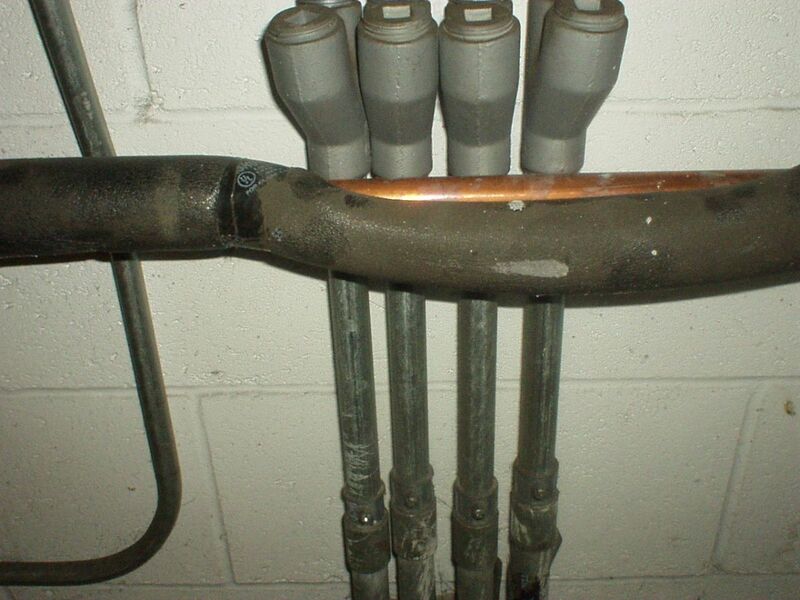 The plumber ran the copper water line after the electrical installation.